Are you looking for an effective, low cost CCTV surveillance camera system? If you need to keep an eye on your business or premises Securiview can be an excellent, cost effective solution. Securicall can supply and install Securiview CCTV Surveillance Systems. Whether you need a simple system to act as a deterrent or a complete Securiview solution with recording and archiving abilities Securicall can advise the most appropriate solution for you. From initial site survey through to commissioning your system, Securicall will help you find the most cost effective, manageable and flexible Securiview solution for your business needs. No mains power required at security camera monitoring location – 2 year battery life for GPRS wireless Securiview cameras. 10 second video clip of event based instrusion sent over the GPRS mobile phone network to a Remote Video Response Centre – Receive event alert video to a web-enabled mobile phone or computer. Instant Securiview camera equipment installation – Easy de-install and transfer to other sites for security monitoring. 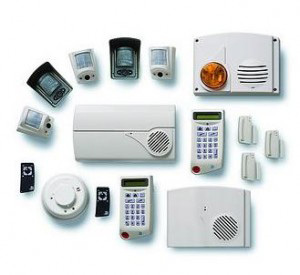 Up to 24 Securiview event based camera monitoring units at one site location – outdoor and indoor PIR cameras – indoor or outdoor sirens – smoke detectors – control panel – keypad – badge reader – keyfobs. Low cost remote security camera monitoring as the Securiview self powered wireless GPRS security camera systems are event based – only required to be monitored when motion detector is activated at camera location. Low cost Securiview surveillance camera equipment – purchase or rental options available. Contact us to discuss your Securiview requirements.